Once they all left, he went to his bedroom to lay down from how exhausted he was. He turned off the lights and kept the small ones on. He didn&apos;t want to sleep in the dark and at the same time, he didn&apos;t want the lights to bother him. Louis got into bed carefully and laid on his side with a pillow under his baby bump for support. He unlocked his phone and saw that it was currently 11:53 p.m. and was now starting to believe that may Harry wouldn&apos;t be home from the amount of work he had. Honestly, the omega felt selfish for always wanting to keep him around and he knew that he has work to do. He also knows that the world doesn&apos;t revolve around him but he can&apos;t help but want his alpha with him at that exact moment. All he wanted to do was get some sleep. Taking a deep breath to calm himself down, he called Harry and kept it on speaker from how tired he was. It rung a few times but the alpha never picked up. Louis took the hint and locked his phone then kept it on the nightstand. Flashbacks of when the alpha left the omega to go to the hospital appointment alone came into his mind but brushed it off and hoped that this time was different. "Okay, we&apos;re going to sleep now, babies. We can do it. Daddy is at work and he must be tired," and his eyes softened as he added quietly, "Oh no. Did he even eat dinner?" and bit his bottom lip. Louis felt like he shouldn&apos;t complain because his husband&apos;s situation right now must be worse since he has a deadline which means less sleep. He decided to text him and see if he&apos;s alright since he knows that he won&apos;t stop worrying. Louis was about to send that text but then saw Harry walking into the room tiredly with his tie loosened probably from stress. He deleted every word as he looked at him and said in a worried tone, "Are you alright, baby? I thought you weren&apos;t coming home according to Liam," and sat up slowly. Harry nodded with his eyes shut as he started taking off his clothes until he was only in his boxers. 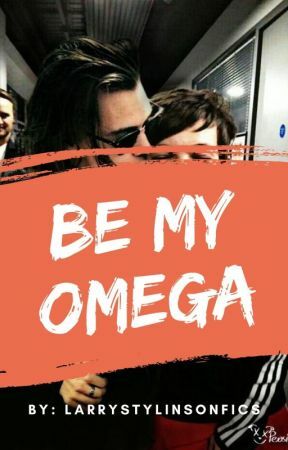 He went over to the bed and started spooning his omega as he whispered, "I am now. Done with work early because I know my pregnant omega really well," and started rubbing his baby bump soothingly. Louis cuddled back into his arms and let out a sigh of relief with his eyes shut peacefully. He asked, "Did you eat or do you want me to get you something?" The alpha kissed his neck appreciatively and said with a smile, "I ate, don&apos;t worry about me. Go to sleep, the triplets must have tired you out." The omega breathed in his alpha&apos;s scent that was calming him down by the second and whispered tiredly, "I love you. I do. Goodnight." Harry did the same and whispered back, "And I love you. Night, baby." They fell asleep peacefully wrapped in each other&apos;s arms where they belonged. The next day, Harry woke up first at 10:22 a.m. and he doesn&apos;t know how he didn&apos;t manage to wake up later than that. He looked down at his omega who was sleeping in his strong arms and noticed how beautifully he was glowing. The alpha decided to have a chat with his triplets. He rubbed his omega&apos;s baby bump and whispered, "Are you guys comfortable in there? I bet you are. My perfect little pups, can&apos;t wait to have you in my arms soon." Louis didn&apos;t even flinch or move when Harry was talking cutely to their pups because he really was exhausted. It was hard to sleep, not only because of the pregnancy but also because he needed his alpha to be able to fall asleep. Peacefully, at least. After a while, Harry decided to go downstairs and make some breakfast because he knows that his omega might wake up hungry. His latest cravings have been mustard with bananas so the alpha made sure to add them on the side for his pregnant omega. Once he was done making breakfast, he kept all the food in a tray which consisted of cheese and beans mini sandwiches. He carried it to their bedroom and when he got inside, he kept the food on the nightstand. He got into bed slowly and whispered in his mate&apos;s ear, "Baby, food is ready," and kissed his shoulder softly. Louis mumbled into the pillow, "Sleepy, five more minutes," and started rubbing his baby bump absentmindedly. The alpha watched his actions with fond and let him sleep for five more minutes to be exact. In that time, he went to brush his teeth, have a wee and washed his hands before going back into the bedroom. He checked the clock on the wall and saw that it was 11:41 a.m. so he tried waking his omega again. "Five minutes are over, can you wake up so you can feed our pups and yourself? I brought the banana and mustard that you have been craving lately," Harry said as he watched him. Louis slowly started to wake up and asked, "Where?" and started rubbing his tired eyes. Harry took the tray off of the nightstand and kept it in front of them as he said, "I even made beans and cheese sandwiches that you like." 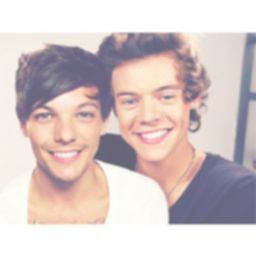 Louis smiled at his alpha and said softly, "You shouldn&apos;t have done that," and rested his head on his shoulder. The alpha shrugged and said honestly, "I wanted to. Taking care of you is one of the best jobs I have out there and I would be crazy if I asked for more."